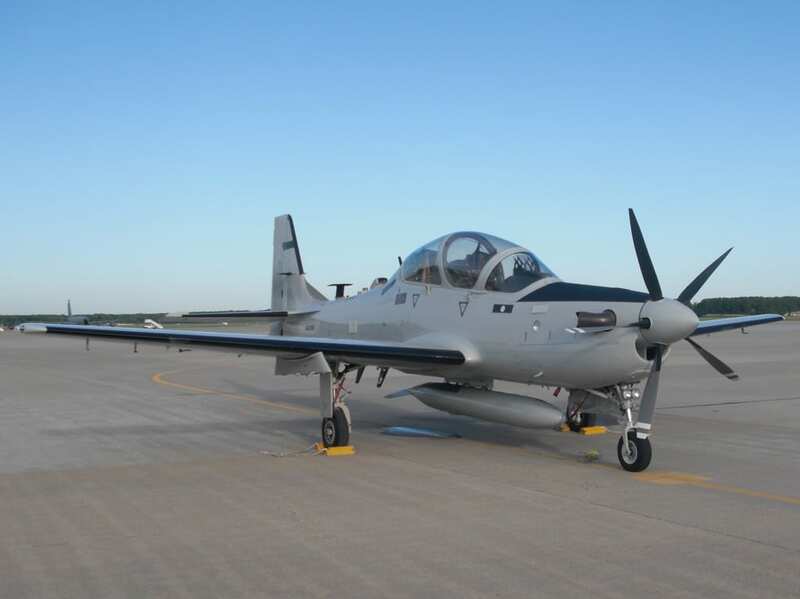 The competition for a light attack aircraft between the Sierra Nevada/Embraer A-29B Super Tucano and the Beechcraft AT-6 – formerly the Texan II and the Coyote – will register another landmark event when the third AT-6 airframe makes its maiden flight, scheduled for the week of Aug. 18. In the worldwide market that’s closely scrutinizing the A-29B and AT-6, some are wondering where to place their bets and what to believe. Those with a more evenhanded perspective acknowledge the obvious – that both the A-29B and AT-6 offer robust capabilities and perform well in a broad range of light-attack scenarios. They also insist that neither is perfect. In the U.S. Air Force, airmen use the expression “drinking the Kool-Aid” to mean, “swallowing the official line.” As the aviation industry gears up for a new round of competition with the A-29B and AT-6 ready to duke it out for new production orders – abroad, but probably not at home – both aircraft types enjoy support from true believers who buy into every word in the brochure. 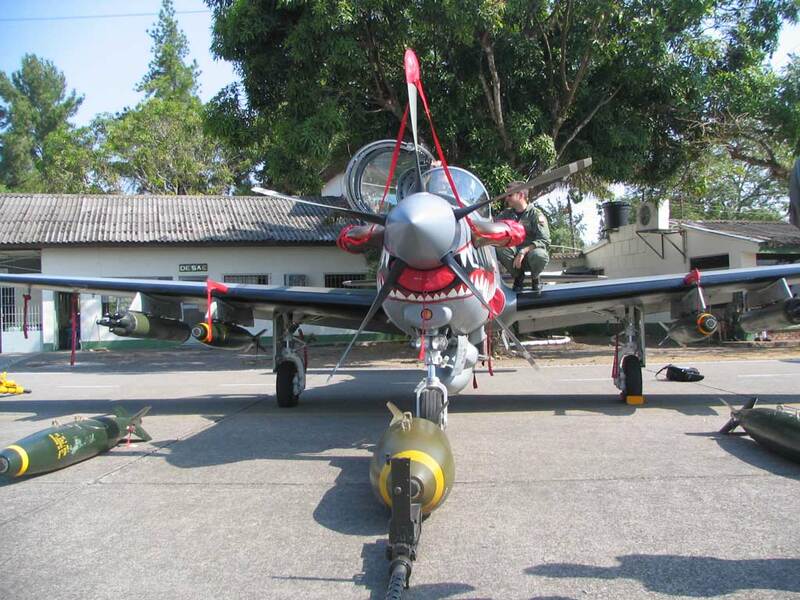 A-29B Super Tucano of the Colombian air force at Apiay air base at the edge of the Amazon jungle on March 14, 2007. This aircraft is combat-loaded with a pair of 750-pound bombs. The A-29B is the winner of the U.S. Air Force’s Light Air Support (LAS) competition to supply 20 planes to the Afghan air force beginning next year. The Super Tucano is also used by several other air forces. 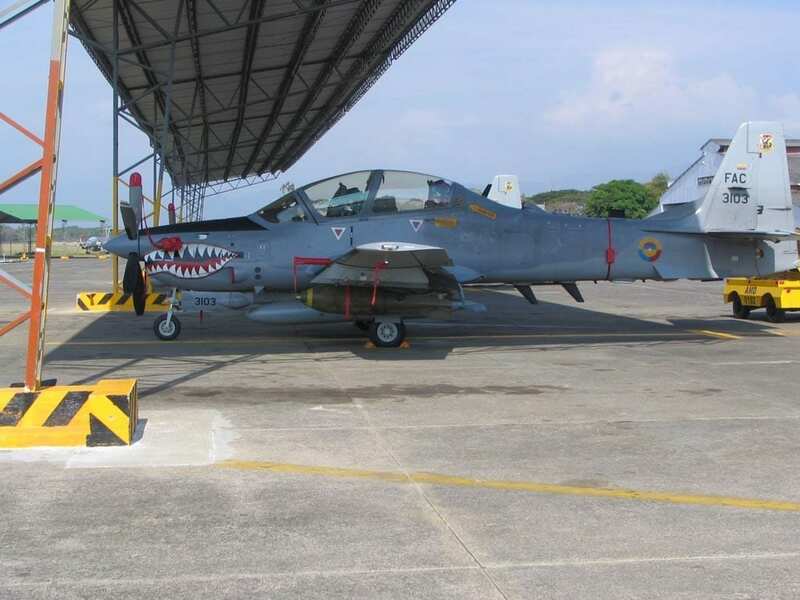 The Colombian air force uses it for surveillance and to deliver ordnance in its ongoing conflict with that country’s two insurgent groups, as depicted in the previously unpublished photos appearing here. While the AT-6 hasn’t won a Pentagon production order, planemaker Beechcraft says it expects a launch customer (so far unnamed) for 24 aircraft by year’s end and is building upon its two flying examples by investing in a third and fourth airframe. The company borrowed the Pentagon term low-rate initial production (LRIP) to characterize its building of these additional AT-6s. The third AT-6, individually known somewhat confusingly as AT-3, has been rolled out wearing what might be called desert camouflage with shark’s teeth. It was once scheduled to make its first flight the week of Aug. 4, and is now scheduled to take to the air during the week of Aug. 18. Neither Defense Media Network nor the author of this commentary has any stake in the rivalry between the A-29B and the AT-6. We’ve consulted with experts on how these aircraft might fit into small-war scenarios around the world and wanted to present some observations on the attributes offered by both aircraft. The following draws upon authoritative sources with various points of view. The A-29B and AT-6 both have tricycle landing gear, tandem, two-seat cockpits, and turboprop engines. The A-29B’s canopy is stepped, meaning the back-seater sits higher and has greater visibility, although experts disagree whether this matters in combat. Flown originally with a less powerful engine, the AT-6 was upgraded to the same 1,600 shaft horsepower (1180 kW) Pratt & Whitney PT6 turboprop engine used by the A-29B, but with no corresponding change to its flight surfaces. Super Tucano supporters say their engine has no power limitation in any flight phase, while the AT-6 powerplant is flown de-rated in some scenarios. A-29B proponents laud the plane’s larger tail unit and flight surfaces, even though Beechcraft’s Bill Boisture calls it “less maneuverable.” AT-6 supporters argue that because their competitor is larger, it places greater demands on the same engine, hindering performance. The A-29B has internal wing-mounted .50-caliber (12.7-mm) Browning M3 machine guns with 250 rounds per gun. The AT-6 lacks an internal gun but can carry two gun pods with 400 rounds each. 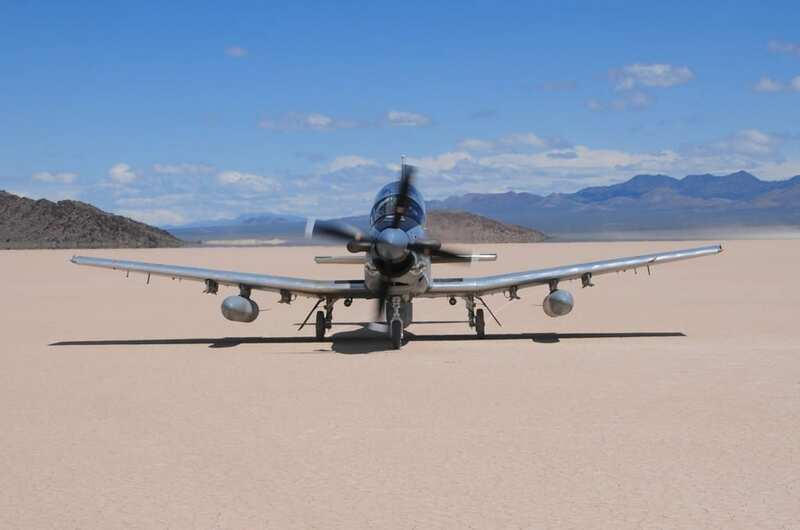 A participant in the AT-6 demonstration program of several years ago told Defense Media Network that, contrary to critics, there’s no problem maintaining bore-sight with these pod-mounted guns. The A-29B has five weapons stations but needs none to carry guns; the AT-6 has six hard points but must give up one to carry a single gun pod. The sensor ball (or “turret”) is mounted farther forward on the A-29B, so its wings don’t block its view of targets even when in a steep bank. However, using the sensor ball requires the A-29B to surrender one of its five hardpoints, while the AT-6 carries the ball and still retains six hardpoints. Three A-29B hardpoints are wet – able to accommodate external fuel tanks – while four on the AT-6 are. The AT-6, although smaller, carries more fuel internally. The A-29B hardpoints are spaced farther apart, affording greater flexibility. About 170 A-29Bs are in use or on order with 10 countries. Embraer claims the A-29B has flown 17,000 combat hours without a hull loss. Only three armed AT-6s are in existence, but Beechcraft and its predecessor companies delivered their 800th T-6A/B trainer in March of this year; deliveries include most of a projected U.S. Air Force/Navy purchase of 783. Included among overseas deliveries are 20 armed AT-6As for Greece, which have a lower-rated engine but some of the features of the AT-6. Beechcraft argues that the AT-6 and its cockpit and handling characteristics will be easy for U.S. pilots to learn because most already logged time in the trainer version. There is plenty of hyperbole in the air as planemakers vie for attention for the rival A-29B and AT-6. Perhaps the arguments that are loudest and least relevant – though they resonate on Capitol Hill – revolve around Washington’s fear that Americans might purchase a “foreign” aircraft. In reality, in today’s world it’s almost impossible to find a company or an aircraft that doesn’t have an international character. The A-29B is a Brazilian design – indeed, both Colombia and the United States have adopted its Brazilian military designation – but Sierra Nevada Corporation is the prime contractor to the Pentagon and U.S.-purchased LAS planes will be assembled in Jacksonville, Fla.
A predecessor company of today’s Beechcraft created an Internet web page – no longer active – giving reasons why the T-6 isn’t the Swiss Pilatus PC-9. The current Beechcraft does extensive outsourcing in Mexico and elsewhere. And, yes, both the T-6 trainer and AT-6 attack plane are derivatives of the “foreign” PC-9, although they’re manufactured in Wichita, Kan. Finally, there is the issue of cost. The A-29B is “less capable and more expensive,” said Beechcraft’s CEO Bill Boisture. The AT-6 “costs more to operate,” said a proponent of the other aircraft. In fact, both purchase and operating costs are determined by the number and pace of production orders, and either aircraft can be purchased today for about $12 million – a tiny fraction of the sticker price of the F-35 Lightning II Joint Strike Fighter. At the end of the day, what’s most reassuring is that while no further U.S. purchases seem likely, the overseas market for light attack aircraft is estimated at 400 airframes. Light attack aircraft like the A-29B and AT-6 can loiter on station longer than any F-16 (or F-35) and can be deployed to forward-located, austere airfields. Potential customers are plentiful, an example being the Philippines, which wants to replace its OV-10 Broncos. Moreover, a tiny group of renegades in the Pentagon is campaigning to resurrect the LAAR program of 2007 – a plan for a light-attack force for U.S. troops. 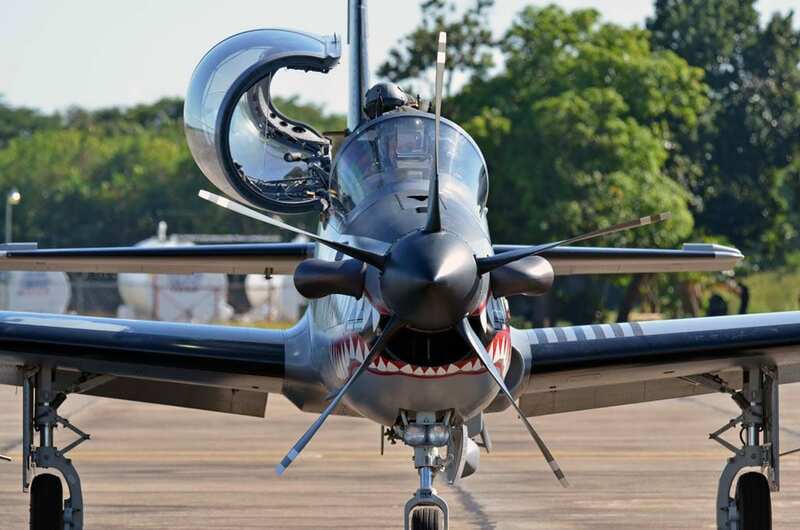 “My view is that the Super Tucano is a bruiser,” said Col. Michael Pietrucha, a back-seater who has worked in light attack for the last six years. “It’s going to be tough, heavy, and will handle rougher fields with a heavier combat load. It has more internal expansion room. Pietrucha said he is “platform agnostic.” Maybe by chucking the Kool-Aid, everyone else can be, too.